Florida law forbids unlawful threats or unlawful touching of law enforcement officers. To do so is known as “Assault on a Police Officer” or “Battery on a Police Officer.” A violation of the law, F.S. 784.07, can be considered either a misdemeanor or a felony, depending on severity of the crime. These uses of force are allowed so long as they are “justified.” Anytime an officer uses force, he or she has to complete a “use of force” form detailing the reason. A lot of times, that need to justify use of force gives officers an incentive to allege suspect committed assault or battery against a law enforcement officer. Sometimes the evidence comes down to “he-said-she-said.” Other times there might be helpful witness statements, surveillance video or cell phone clips that could serve to discredit the officer’s assertions. Uncovering this evidence often requires an independent investigation. It’s not even necessarily that officers lie about this sort of thing. But when being involved in a confrontation with adrenaline pumping, even a trained law enforcement officer may have an exaggerated perception of the facts. We work on behalf of our clients to identify and present any possible weakness in the state’s case. Which causes fear in the officer that violence is likely to occur. Where law enforcement officer was engaged in the lawful performance of his or her duties at the time of the offense. In both cases, it’s essential to prove the officer was “engaged in lawful performance of his or her duties.” So that means if the officer was in fact deploying excessive force, then defendant may not be convicted because his or her actions could be framed as actions of self-defense. Note that it is unnecessary to prove the officer was hurt or, in the case of assault, even touched at all. This type of broad definition is why the crime – particularly assault on a law enforcement officer – is so commonly charged. In either case, the charge may be “aggravated” when there is a weapon involved or if the alleged victim suffers serious injuries. If a battery or assault is deemed “aggravated,” it will result in more severe penalties. Department of Corrections workers who supervise or provide inmate services. Conviction of assault or battery on a law enforcement officer could have serious consequences to your reputation, your job prospects, your finances and your freedom. Incidental Touching: Where defendant’s actions are intended to prevent self-harm, repel attack by a third party or where movements are incidental and not intended to make contact with another person. Reflexive Actions : Movements or actions that are involuntary and are the result of reflex to pain. Excessive Force: Where an officer uses excessive force – even in the course of a lawful arrest – a person has a right to act forcefully in self-defense. 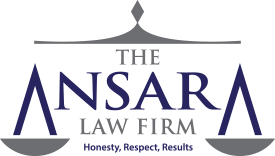 If you have been charged with assaulting a police officer in South Florida, contact the Fort Lauderdale Criminal Defense Lawyers at The Ansara Law Firm by calling (877) 277-3780.